After the Starter Kit: Weather Station and the Starter Kit: Hardware Hacking we are happy to announce the third kit of the Starter Kit series: The Starter Kit: Server Room Monitoring. The Starter Kit: Server Room Monitoring offers the possibility to build personalized monitoring solutions. 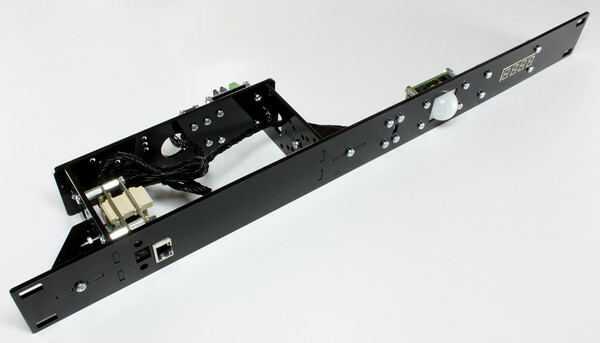 The case of the kit can be mounted in a 19″ rack, it has a height of one height unit (1U). Several of the Bricklets are integrated in the case. A Temperature Bricklet is used to measure the temperature in the rack and a PTC Bricklet is used to measure temperature with a Pt100 temperature sensor at a chosen point. 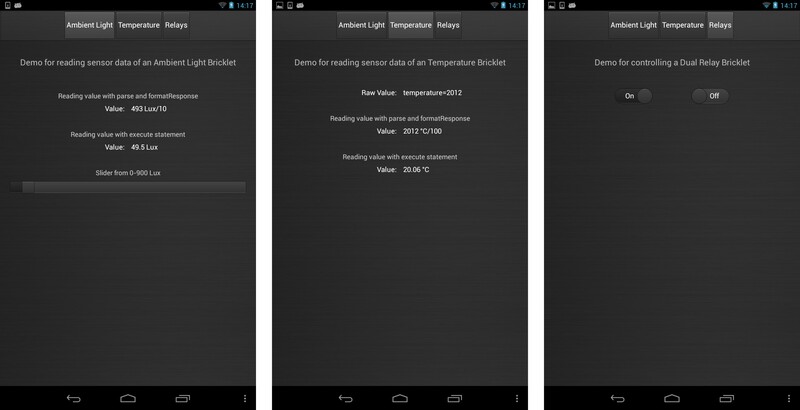 An Ambient Light Bricklet is mounted to the front side of the case and it can measure the light intensity of the server room. Mounting additional Bricks and Bricklets is possible. You can integrate displays, motion detectors (coming soon), motor controller Bricks or different Bricklets for in-/output. Power can be supplied by USB or Power-over-Ethernet (PoE). The comprehensive documentation of the kit contains example plugins for the monitoring tools Nagios and Icinga. Administrators can use these examples directly or adapt them according to their needs. The kit is as of now available in the shop. The introductory price of 129.99€ is available until October 15th 2013. With NetIO it is possible to create a custom remote from any Android and iOS Smartphone without knowledge in Java or Obj-C. The newest release of the shell bindings allows to control the complete assortment of Bricks and Bricklets with NetIO. You can find instructions to get started in the documentation under NetIO Controller App Setup.